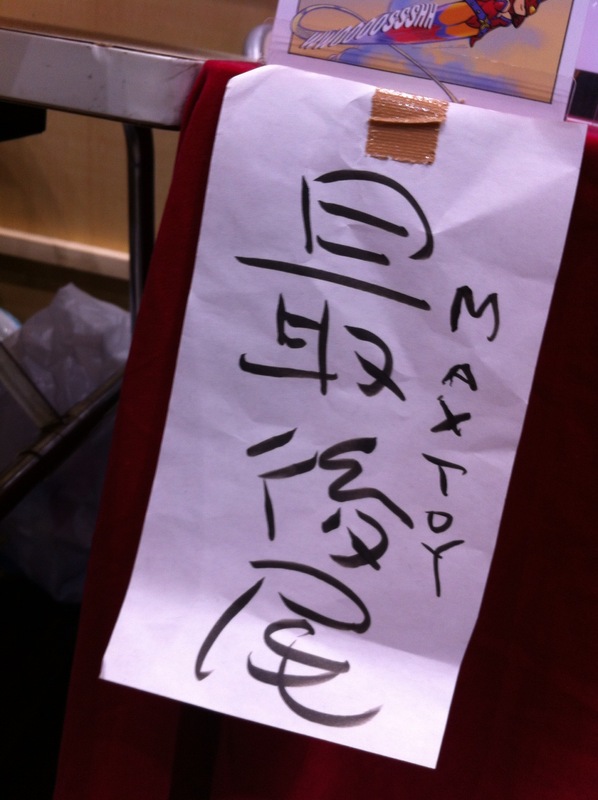 ← Toy Karma Blog is Moving !!! I’m still getting use to this new blog .. but I see the future here 😉 Ok a quick update, this weekend saw our man, Yo-san set up and sell at Japan’s Design Festa show in Tokyo, Japan !!! 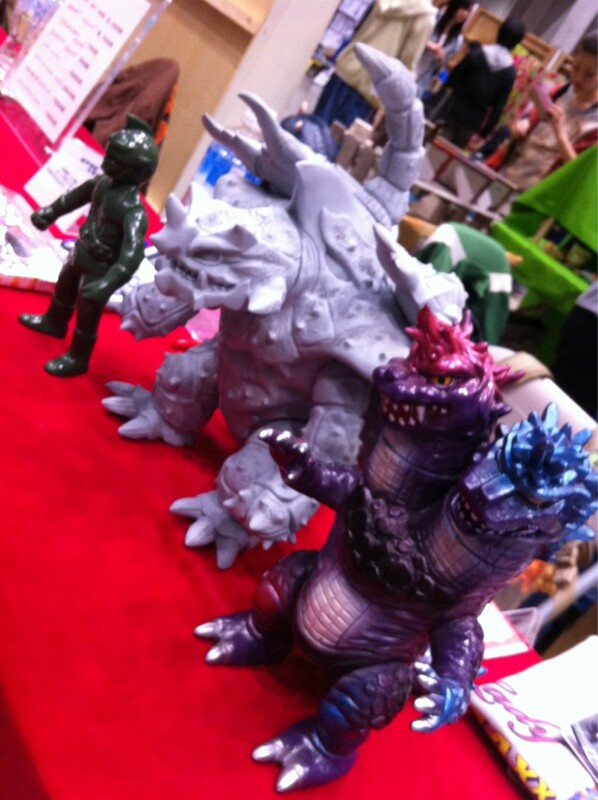 As soon as the doors opened … a line of nearly 40 fans appeared .. and quickly all the Negoras were gone .. minis, micros and Kings ! Fans also snatched up Lady Darkness and Lady Maxx figures .. leaving only 3 of each at the end of the day ! It was so crazy for Yo-san that he needed his fmaily to help plus several other toy makers to help keep the line in order ! This sign says that this person is the last one in line ..haha..
Oh but there was more .. we had a vinyl test shot of the Frenzy Captain Maxx whose looking very cool !!! and the debut of .. Kaiju Zanga !!! Holy Moly … it’s HUGE !!! if all goes well .. this guy will debut at Comic Con and Wonderfest Japan in July 2012 !!! Also, we announced to Japanese fans about our upcoming Dave Dorman and Son collab, plus I have a collab with artist TOUMA in the works as well ! Look for more info on both of those collabs at Comic Con as well ! 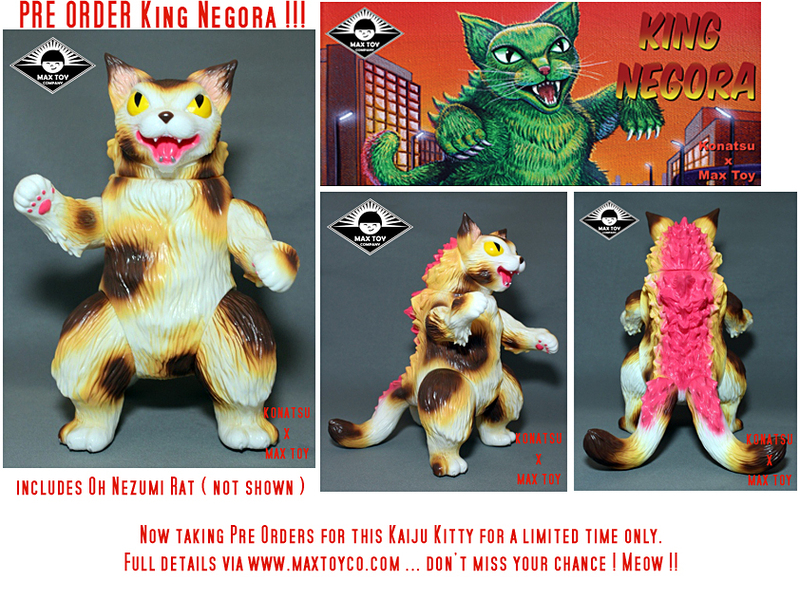 and finally we are now taking Pre Orders for the first fully painted US release of King Negora with Oh Nezumi Rat figure via the Max Toy web store here ! So far the Pre Orders have exceed my estimates .. the Pre Ordering will be open thru this coming week at which time we’ll close them and go into production on them. Complete details via the link above. Finally for those who ordered last week the Design Festa items, sorry the box didn’t show up, but should be here early this coming week .. I’ll get every ones orders out quickly. Phew … more news in a few days ! 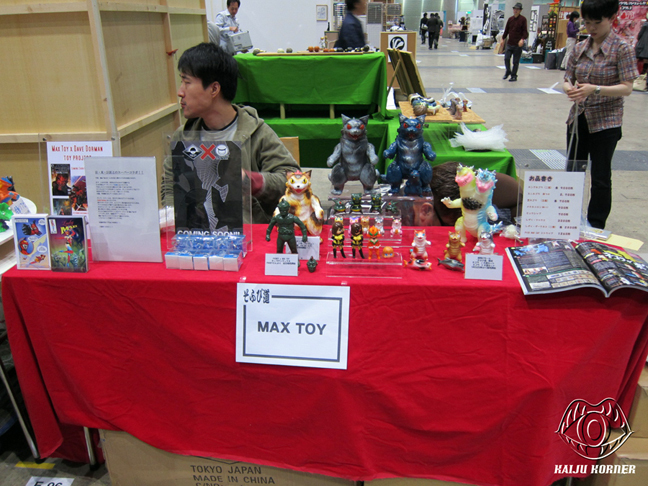 This entry was posted in Uncategorized and tagged design festa, kaiju, lady maxx, mark nagata, max toy, negora, toy karma, zanga. Bookmark the permalink.